Stockist And Dealers In Specialty Chemicals Pharma Intermediates Solvent Chemicals Labs And API Chemicals. We-offer, Methylimidazole,(chlorobenzoyl)benzoicacid,,Di-tertbutylphenol,Methoxypropiophenone,DLChlorophenyl)Glycine,Potassium Iodide,Tetra-n-butylammonium Iodide,Sodium Iodide and Triethyl Orthoformate. We source all above mentioned Industrial Chemicals from the reputed chemical manufacturing companies. 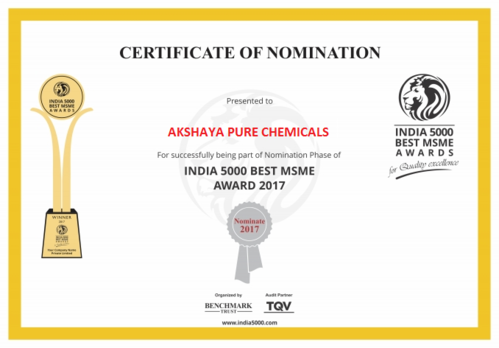 These Industrial Chemicals are well-tested in terms of formulations and purity levels before making the final dispatch. What’s more?We offer these Industrial Chemicals at the market leading prices.